Report: Add 60 Million Spanish Phone Calls To NSA's List : The Two-Way Documents leaked by former National Security Agency contractor Edward Snowden continue to expose secrets. There's also a new report that the NSA may have been monitoring the German chancellor's phone calls since 2002. 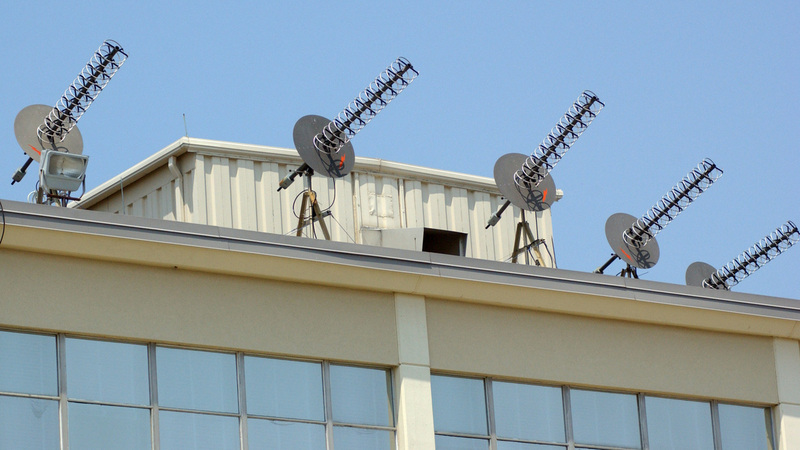 Some of the electronic equipment atop the National Security Agency's facility in Fort Meade, Md. Spain's El Mundo newspaper is reporting that a document leaked by former National Security Agency contractor Edward Snowden shows that the NSA scooped up data from 60 million phone calls made in Spain over a four-week period in late 2012 and early 2013, The Associated Press writes. "There was no immediate reaction to the report from either the Spanish government or the U.S. embassy in Madrid. However, U.S. Ambassador James Costos had already been summoned to the Foreign Ministry on Monday to discuss reports that indicated Spain was a U.S. spying target." Meanwhile, The Guardian noted over the weekend that "a report in Der Spiegel said [German Chancellor Angela] Merkel's mobile number had been listed by the NSA's Special Collection Service (SCS) since 2002 and may have been monitored for more than 10 years. It was still on the list — marked as 'GE Chancellor Merkel' — weeks before President Barack Obama visited Berlin in June." "Ended a program used to spy on German Chancellor Angela Merkel and a number of other world leaders after an internal Obama administration review started this summer revealed to the White House the existence of the operations, U.S. officials said."